While most students had no school on Martin Luther King Jr. Day, Jan. 21, a group of seventh- and eight-graders from St. Helens Middle School students helped at various community locations to commemorate the day as a "Day of Service." Every year, students at the middle school volunteer their time to help with a variety of projects throughout St. Helens. Assistant Principal Mark Janke said ina social media post students are encouraged to give of their own time in the spirit of Martin Luther King Jr. and work to better their community in the process. 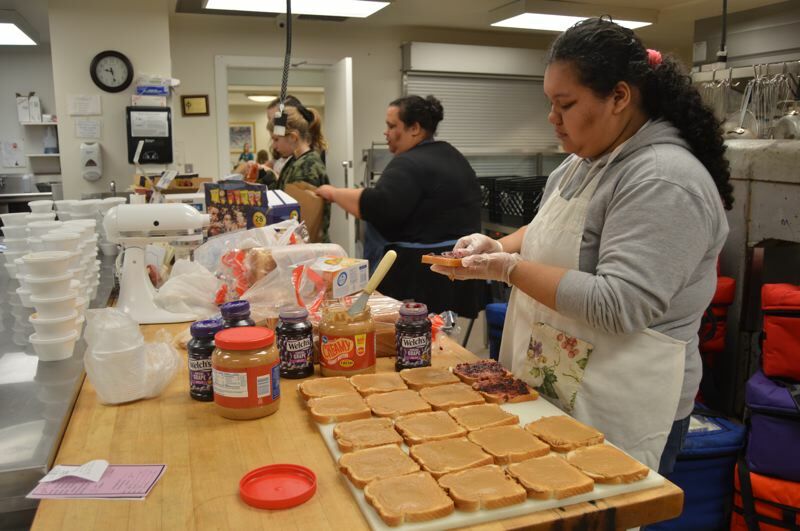 This year, students completed tasks like helping make cookies for the Columbia County Education Campus open house, helped complete yard work at the Elks Veteran's Bunker and the Community Garden at the St. Helens Senior Center, picked up trash in McCormick Park and even packed meals for an outreach program with Community Action Team. Other students also volunteered to sort items at the Columbia County ReStore and worked at the middle school library to prepare flyers for the St. Helens Public Library. A total of 40 students and nine parent and teacher chaperones volunteered their time this year. While most of the students were seventh- and eighth-graders, one freshman in high school also joined the group on Monday. A photo slideshow of the students working is below. Start developing good oral hygiene habits early!